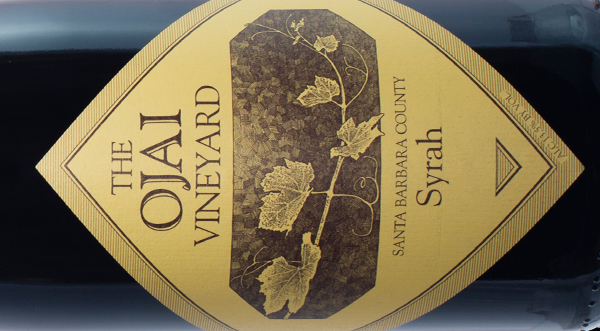 The Ojai Vineyard » March 19th – Syrah Santa Barbara Release Party! March 19th - Syrah Santa Barbara Release Party! We are excited to release our 2014 Syrah Santa Barbara at the Tasting Room on Saturday March 19th! If you are in Ojai from 4pm to 8pm come taste the new Syrah Santa Barbara and enjoy fabulous food! The weather is sure to be great, enjoy good food, modestly priced wine—and live music! This is one of our “wine bar” events where we only serve up glasses and bottles (sorry, no flights). Try the new Syrah Santa Barbara for $9 a glass or check out one of our Syrah Santa Barbara library selections ($12) and see how complex and interesting it gets with age. We’ll offer special bottle pricing for the night ($24.99, regular $32.50)–so now is the time to stock up! This is our 32nd vintage of syrah! So, is this 2014 Syrah Santa Barbara County just like the previous vintages? Well, no, and that’s been the fabulous thing about remaining a tiny, crafty winery. Instead of focusing on growing the size of the operation we have focused on growing the craft. Lots of talk, lots of tasting, and plenty of experimentation over the years has brought us to this point. We look forward to seeing you at the Tasting Room to taste some of Syrah Santa Barbara! P.S. Stay tuned for our Rose release!